This picture shows the signatures being placed on the contract. 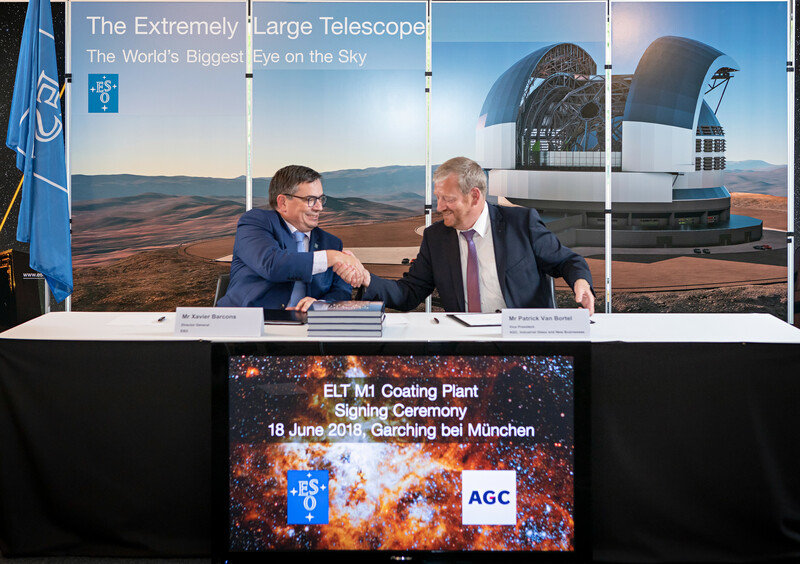 The ESO Director General, Xavier Barcons, is shown alongside Patrick Van Bortel, New Business Manager of Building and Industrial Glass, AGC Glass Europe. A third signatory, Philippe Bastien, Regional President Building and Industrial Glass, AGC Glass Europe, was unable to attend the signature event and signed the contract beforehand.